An inaugural outdoor leadership camp for young women developed by Comox Valley Schools in partnership with leading environmental organizations has earned top honours for its collaborative work in forging strong connections with the ocean environment. Thursday, the school district in partnership with Tribune Bay Outdoor Education Centre, Ocean Wise, Passage Adventures, and several participating school district throughout the province received the 2018 Ocean Education Collaboration Award. 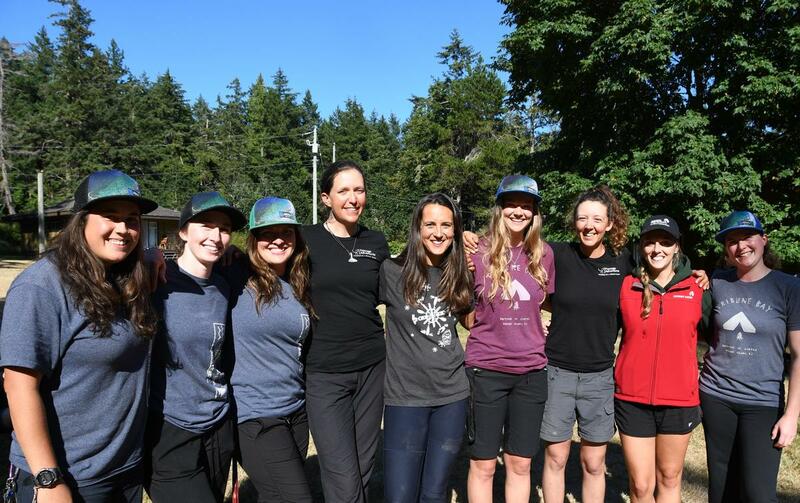 These organizations came together to run a five-day, four-night all-girls camp at the outdoor education centre on Hornby Island, focusing on developing students’ understanding of ocean literacy and ecology through leadership programs and outdoor adventures. 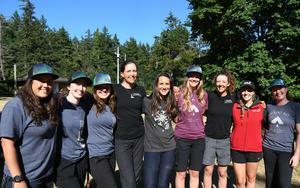 The concept of a female camp for senior secondary students came to fruition because of two young Australian kayakers, Lucy Graham and Mathilde Gordon of Passage Adventures, who paddled the inside passage from Glacier Bay, Alaska to Victoria this summer to raise awareness about single-use plastics and ocean conservation. The camp was scheduled to coincide with the paddlers’ journey through the Strait of Georgia, allowing Graham and Gordon to visit Tribune Bay and deliver a lecture series to the 45 female participants in hopes of inspiring them to take up a leadership role in environmental conservation and stewardship. The award is part of an initiative of Ocean Wise to honour individuals or organizations that demonstrate the importance of effective relationships and collaboration within and across sectors and disciplines to bring awareness to ocean health and conservation. “I am pleased to be part of an event that celebrates the dedication of education professionals who go above and beyond to help students forge strong connections with the natural world. Today’s students will be the environmental stewards of tomorrow and the educators honoured here tonight are working hard to instill the values that will ensure our environment is in good hands,” shared B.C. Deputy Minister of Education Scott MacDonald in a press release issued by Ocean Wise today. Board of Education chair and vice chair Janice Caton and Ian Hargreaves joined Dean Lindquist, Superintendent of Comox Valley Schools to receive the award at the Vancouver Aquarium during an event dedicated to celebrating the integral part education professionals play in developing the ocean champions of tomorrow.